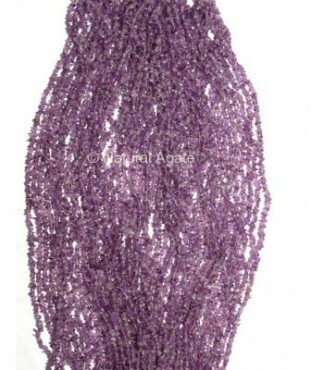 Amethyst Chips Beads String from Natural Agate is 3-5mm in size. These beads will make exquisite earrings, pendants, bracelets. These beautiful beads will look amazing in any form. Keep them close during night to ensure a restful sleep.